Welcome! If you are looking for some all-season kids craft ideas and fun activities for kids, come check out our step-by-step tutorials for easy, every season activities. 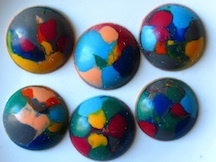 We have instructions making salt dough ornaments, painting pots, recycling old crayons, making kids masks, and more! We also have lots of free kids printables if your looking for activities out and about or on the move. Check out these ideas for making kids animal masks using paper plates. Try making a set of animals and play zoos, or use them for a birthday party of other celebratory occasion! 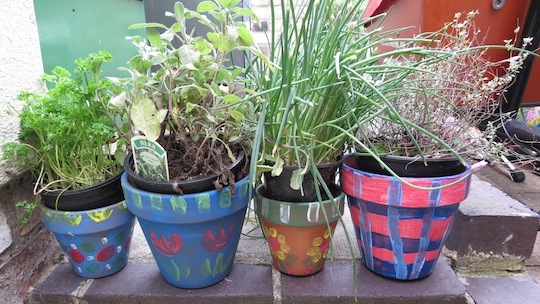 Why not get your kids interested in plants and green things by painting flowers pots. They could be used to hold flowers or herbs that the kids learn to water and can take pride of place in the garden or on the window ledge! 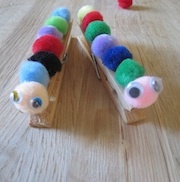 Try making these super simple, fun and useful peg caterpillars using wooden clothes pegs, pompoms, glue and goggly eyes. Really good for a quick craft to fill a bit of spare time! Check out some of these crayon crafts, including ideas for recycling old crayons to make new ones, and making sun-catchers and decorations. We hope you enjoyed these fun all-year-round craft ideas. We will be adding more all the time so do come back for more whenever you are looking for fun and creative things to do with your kids.